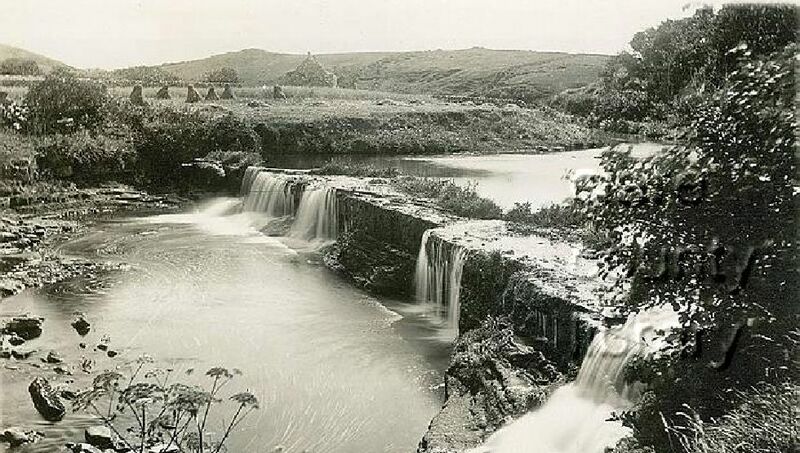 Doolin (Dúlainn in irish) probably derives from « dubh linn », which means the dark pool. 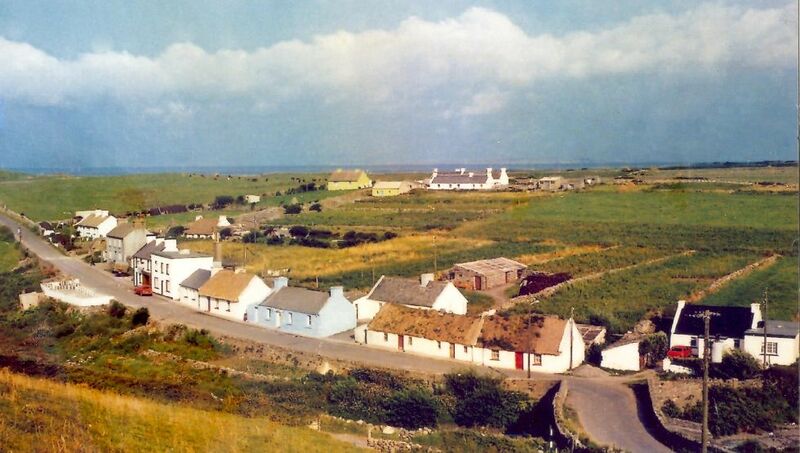 The area known as Doolin is in fact the parish of Kililagh. It belonged to a distinctive branch of the O’Brien’s known as Glae (or Clae). It is situated on the edge of the Burren. There is evidence of human occupation in the Burren going back more than six thousand years. Archaeological evidence of the earliest inhabitants includes many megalithic structures such as the instantly recognisable Poulnabrone Dolmen, which is probably the most photographed structure in The Burren Region. The remains of the people inside the tomb were excavated and dated to 3800 BC. There is also evidence from the Neolithic Era of widespread deforestation for pasture-grazing, which has helped create the stark, windswept beauty for which the Burren is renowned. This livestock farming has also left behind 4,000-year-old field boundaries. This period of intense farming decreased in the Bronze & Iron Ages, and parts of the region re-forested itself naturally. However, intensive occupation of the land once again increased in the early Christian & Medieval periods, which again reduced the area of woodland, as grazing became more widespread. During the Early Middle Ages, County Clare was part of the Kingdom of Connacht ruled by the Uí Fiachrach Aidhne, until it was annexed to the Kingdom of Munster to be settled by the Dalcassians in the mid-10th century. It was renamed Thomond, meaning North Munster and spawned Brian Boru during this period, perhaps the most noted High King of Ireland. From 1118 onwards the Kingdom of Thomond was in place as its own petty kingdom, ruled by the O’Brien Clan. It is during this period that Killilagh Church was built (1470) and it is worth going for a look (a community based project was started in 2013 called « Save Killilagh Church Project »). In 1543, The Kingdom of Thomond was handed over to the Tudors and became part of the United Kingdom. The O’Briens were later made « Earls Of Thomond » and therefore remained in charge of the County. 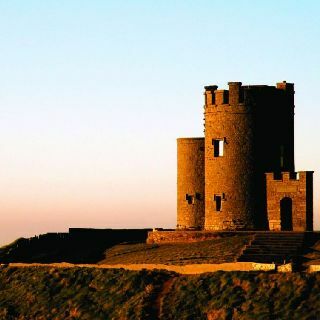 O’Brien’s Tower, at the Cliffs Of Moher, was built in 1835 by Cornelius O’Brien, a descendant of Brian Boru. Cornelius was the local landowner and was a man ahead of his time, believing that the development of tourism would benefit the local economy & bring the people out of poverty. However, before Cornelius O’Brien’s visions became real, the county was badly affected by the Great Famine in 1845-47. Tourism in the area increased slowly over the next century, mostly because of the Cliffs of Moher and also the Spa Wells in Lisdoonvarna but also because it became more accessible with the West Clare Railway. 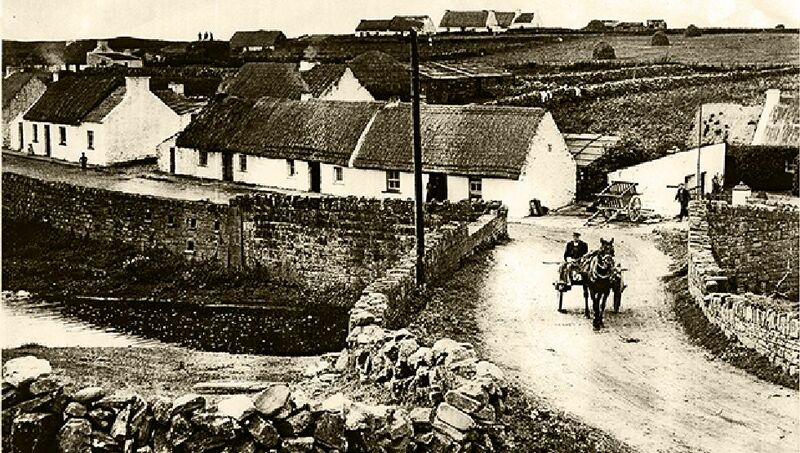 Doolin was a gaeltacht area where many of the older inhabitants spoke only Irish and because of its remoteness, a rich tradition was preserved. Between 1929 and 1930 Seamus Delargy came here to record a vast collection of North Clare folklore. Many artists, including J.M. Synge and George Bernard Shaw, spent some time in Doolin, mostly in the welcoming atmosphere of O’Connors pub, which dates back to 1832 and was originally known as Shannons. J.R.R. Tolkien was also one of the area’s famous visitors. But Doolin became a must-see tourist spot a few decades later, when Irish Traditional Music became popular all over the world.